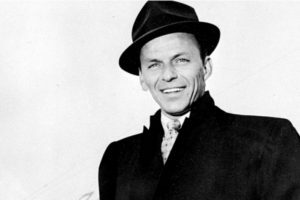 I’d only been a producer/writer at a Los Angeles TV station for a short time when I received a personal phone call from crooner Frank Sinatra. I was floored at the news that he was holding on the line for me—until I learned the nature of his call. My first assignment to write and produce a radio commercial was to promote a contest for Jack in the Box—a popular west coast hamburger chain. The winner would receive prizes that included an all-expense-paid trip to New York. I listened with great interest the first time I heard it on the radio—apparently, so did Mr. Sinatra. “Yes, this is Shirley,” I said, having answered the phone on the first ring. What? Who? It can’t be. Nah! Since it sounded like him, I played it straight. “I understand that you had something to do with the commercial I heard on the radio today for Jack in the Box,” he stated with more of an accusatory tone than a congratulatory one. He’d called from the hospital while recovering from surgery. It was around 1987, before DVDs, iPods, and streaming services. So, I guess he had no better way to pass the time than listen to the radio. “Yes, I know that, sir.” I went on to explain that the network I worked that employed me had an ASCAP BMI license agreement. We were protected. Wait. Nobody can copyright his or her appearance, I reasoned. But after further explanation, Mr. Sinatra proved me wrong. That day was the first time I’d ever heard the term “intellectual property,” plus a few other legalese terms. Our conversation armed me for projects I wrote and produced years later, including a public service announcement that featured Reverend Dr. Martin Luther King’s “I Have a Dream” speech, which everyone assumed was in the public domain. Due to my experience with Sinatra, I knew how to research copyright infringement rules just in case. Sure enough, not only did Dr. King’s estate protect his speech, but also his image, voice, words, name—everything about him. In fact, when so many people criticized actor David Oyelowo (who portrayed Dr. King in the film Selma) for not properly capturing Dr. King’s cadence, they didn’t realize that his hands were tied. The actual voice of the civil rights leader is also supposedly copyright protected. As for my Jack in the Box radio spot, Mr. Sinatra ordered that if the stations “cease and desist airing the spot immediately” and produce a new one, all would be forgiven. So, of course, I did it My His Way. I considered the slap on the wrist a generous gesture from him, and an important lesson for me that I pass on to other writers, producers, and journalists: Check and double-check ownership rules and regulations. Even if you think you know that something is in the public domain check it anyway. If it seems too perfect—it probably is. There may be a lurking loophole.